Offered with early vacant possession due to emigration is this 1930’s individually ‘Webb’ built detached. Originally built for a member of the builder’s family and occupied by them until the current owners took occupation. Carefully modernised this family home occupies a well screened plot with a southerly aspect and offers spacious three bedroomed accommodation with the added bonus of a full-sized lower ground floor which is currently utilised as a studio, utility room and vast shelved and racked store room but offers excellent potential for additional living or home work space via current external access. 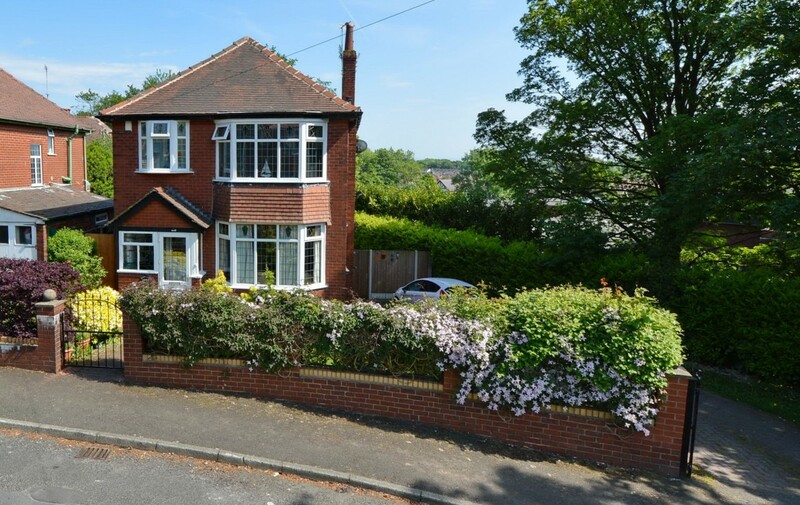 Occupying an excellent position within walking distance of all amenities in Prestwich Village and with good access to public transport including the Metrolink. 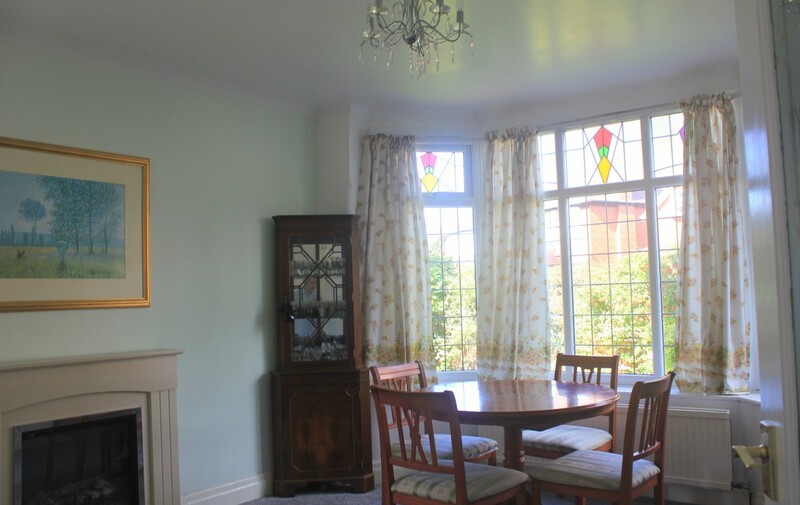 The area is well served by good local schooling and is approximately 1mile from the M60 junction 17. 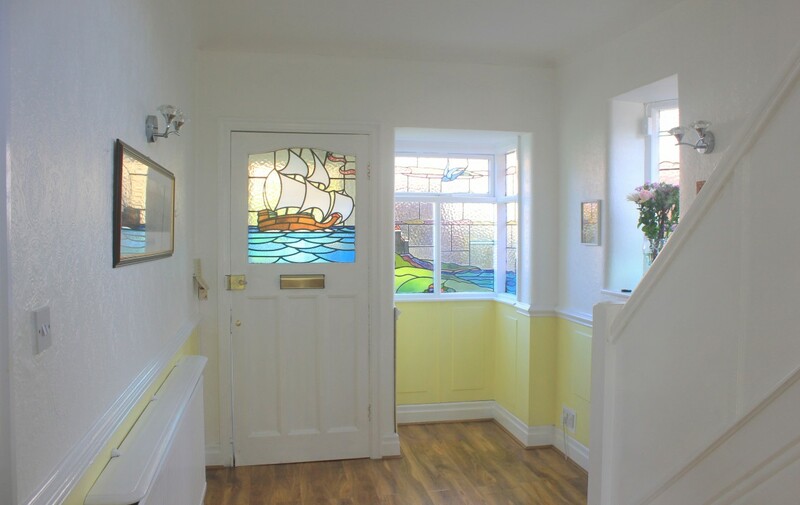 Entrance Hall A spacious hallway with windows overlooking the front, attractive angled feature side window with stained glass leaded light. Original wall panelling. Double panel radiator, four power points. 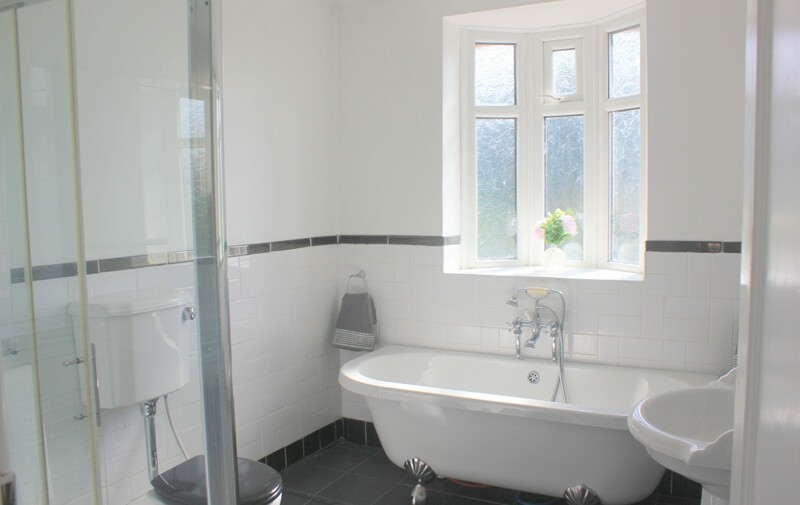 Guest Toilet Situated to the rear of the hall and with low level suite in white comprising of a closed couple toilet, vanity wash hand basin, single panel radiator, ceramic tiling to walls, slate effect tile flooring. Louvre doors to useful storage. Dining Room 11’8 x 15’8 measured into the bay overlooking the front of the property and with an additional window overlooking the side. Attractive feature electric fire set into mock slate surround and hearth, single panel radiator, TV aerial point, six power points. Decked Terrace Accessed via the lounge is this seating area benefiting from south and west facing aspects. Breakfast Kitchen 8’4 x 17’7 Note the good size of this room which is comprehensively fitted with a range of white hi gloss units and with grey mottled finish heat resistant worktops over, base and drawer units, 1 1/2 single drainer sink unit, recess for washing machine, double stainless steel cooker hood, six ring range style oven and hob, gas cooker point, ten power points, half ceramic tiling to walls, double panel radiator, door to side of the property. 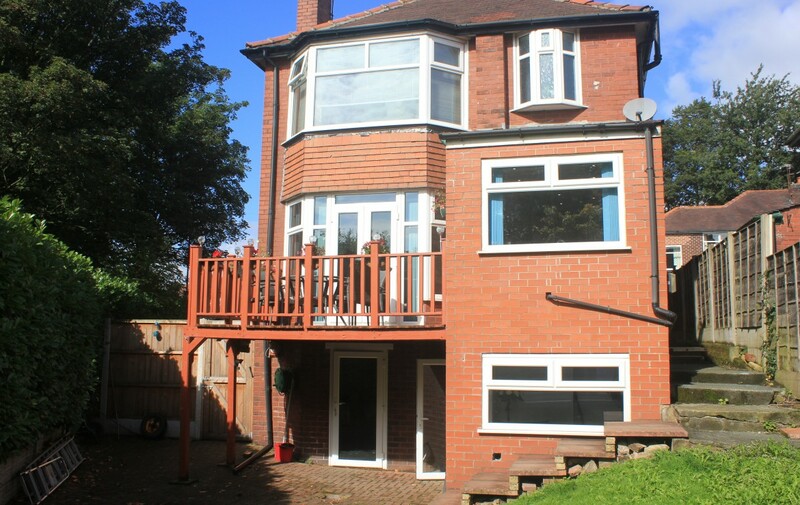 Landing Approached via an easy rise staircase with window overlooking the side on the half and landing and opening onto main landing giving access to all rooms. Bedroom One 11’7 x 14’4 measured to its widest points. 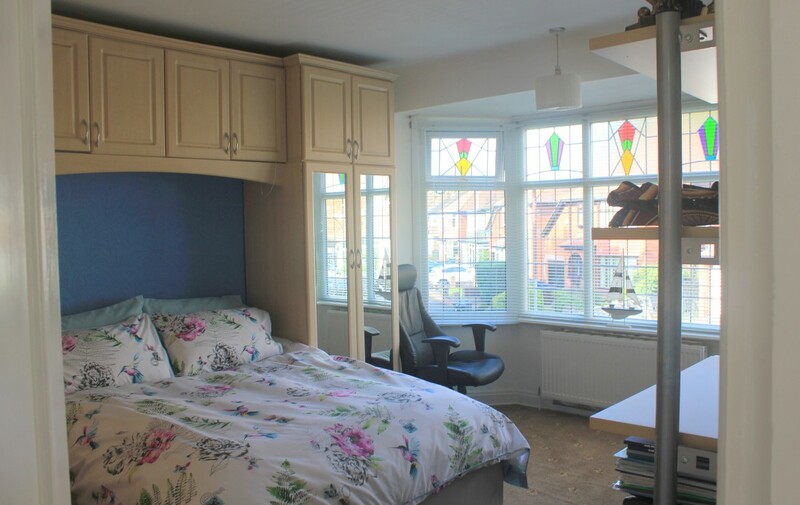 Situated at the front of the property is this good sized double room with a range of fitted floor to ceiling wardrobes to two walls, bay window, double panel radiator, six power points. with views towards the city centre. 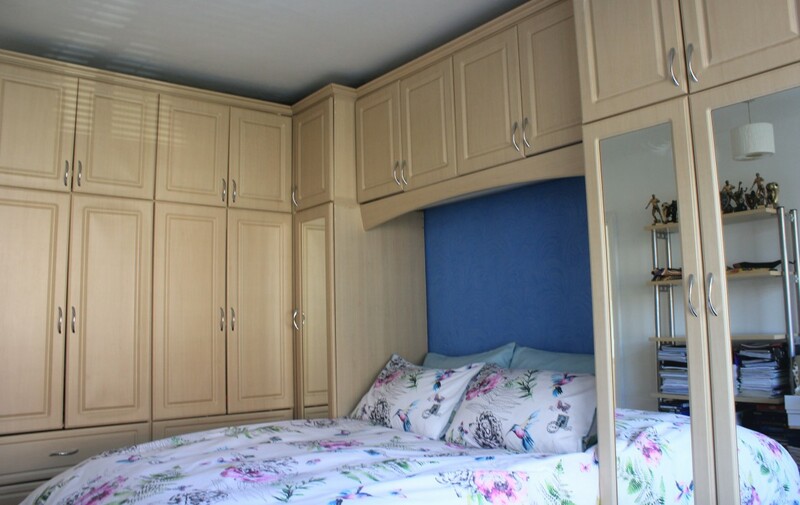 Comprehensively fitted with a range of floor to ceiling wardrobes to two walls with centre recess with inset dressing table, double panel radiator, four power points. 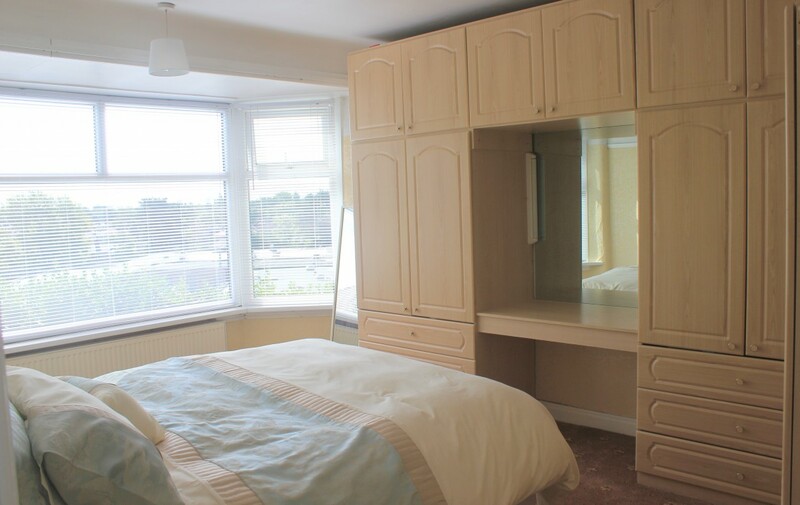 Bedroom Three 6’3 x 9’6 overlooking the front of the property, comprehensively fitted with a range of floor to ceiling wardrobes to two walls, single panel radiator, two power points. Bathroom 7’9 x 10’7 Note the good size of this room with 4-piece fittings including a roll top bath with shower mixer taps, pedestal wash hand basin, closed couple toilet, double sized step up and walk in shower cubicle with Mira Sport electric shower, part fully and part half ceramic tiling to walls. 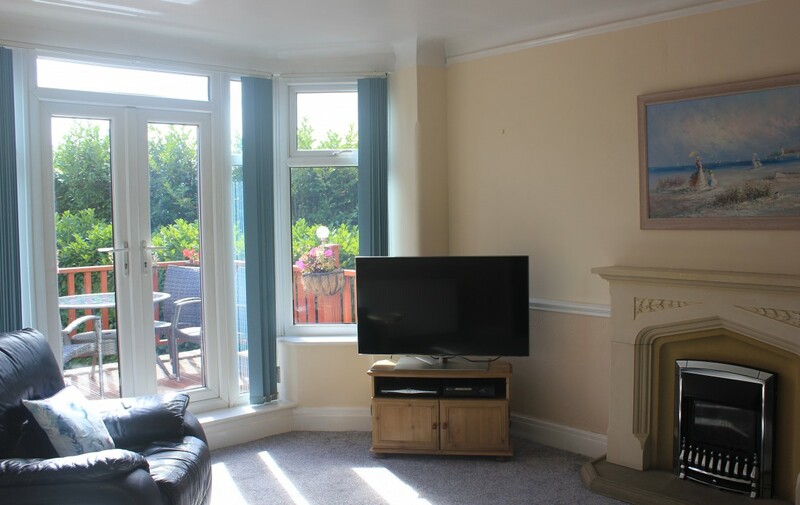 Windows overlooking the side and rear of the property, low voltage lighting, two heated towel rails. Utility Room 6’3 x 9′ Overlooking the rear garden and with fitted worktops with recess under, venting for tumble dryer, four power points, grey slate effect laminate flooring. 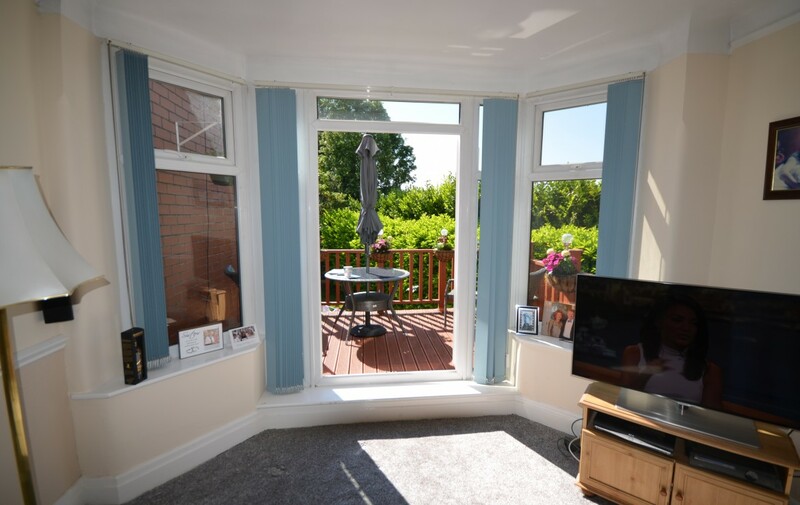 With its own access via UPVC double glazed door. 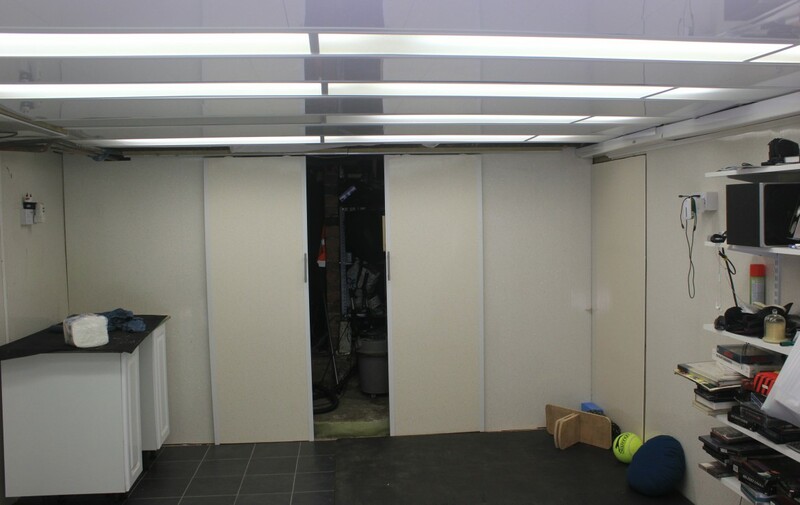 Store Room Occupying the remainder of the lower level and currently utilised for general storage with racking and shelving. Strip lighting and with power points. Also housing the gas and electric meters. NOTE THE LOWER LEVEL OCCUPIES THE SAME FOOTPRINT AS THE GROUND FLOOR AND SUBJECT TO BUILDING REGULATIONS/PLANNING COULD BE INCORPORATED DIRECTLY INTO THE MAIN HOUSE AND OR UTILISED AS A HOME OFFICE/BUSINESS. This family home sits comfortably within its own plot and to the front is screened from the road by low brick walling with pedestrian and vehicle access wrought iron gates. The front garden area is mainly lawned and screened from the footpath with privet hedging. 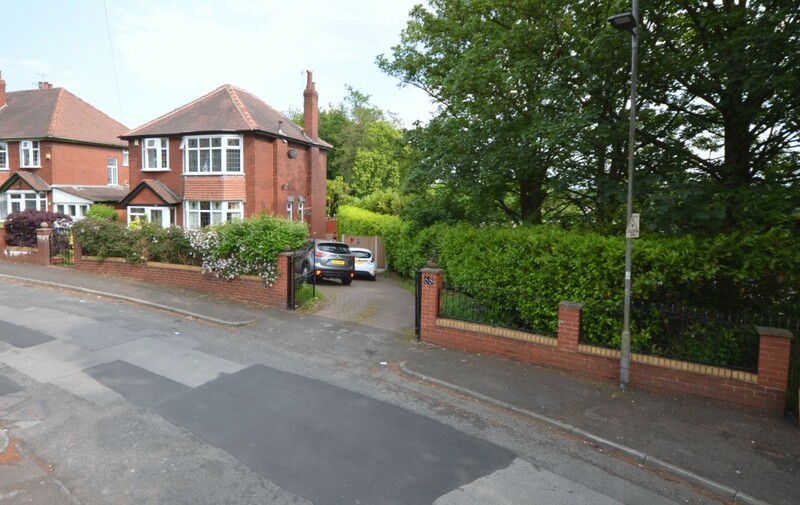 To the side is a wide driveway providing easy off road parking for at least three cars. 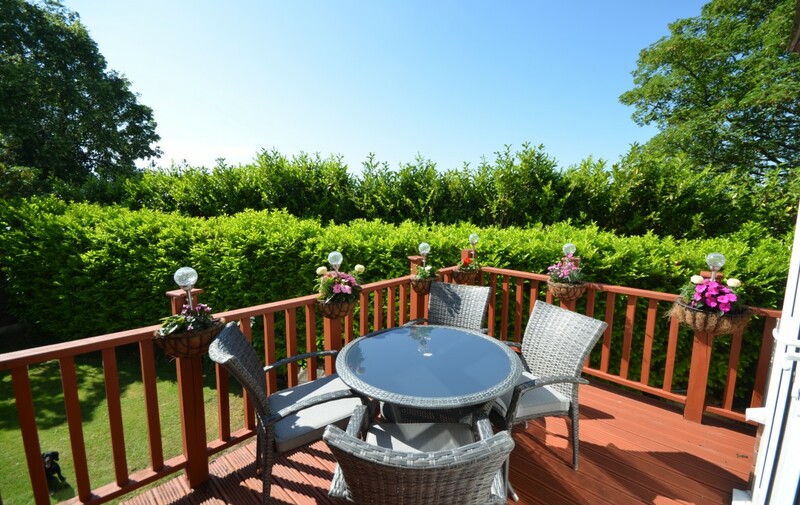 High timber fencing and gate to the rear of the drive opening onto the rear full enclosed garden, this spacious and private area is laid with lawn and block paved patio area.